In the past few days, Donald Trump’s former doctor has claimed that Trump sent the Caucasian Suge Knight and some side goons to his office to take the president’s medical records. The gastroenterologist, who reportedly worked as Trump’s personal physician, also confessed to not writing the 2015 letter that claimed the Republican presidential candidate Trump was in “astonishingly excellent” health. First, anyone with eyes and ears already knew that a doctor didn’t write that letter, because Trump is a visibly unhealthy, KFC Original Recipe-eating liar who will do anything to win. Never forget that time he created an alter ego to sell stories of himself as a billionaire lothario who was bedding several women, none of which was true. But the language in a letter supposedly written by a doctor also sounded fake. But let’s not get stuck on the letter. After reading it, we collectively gave it the same side-eye we give the Kardashians: We know it’s fake, but that’s their business. I know that it may be confusing, but Bornstein is the man on the right, the one not wearing a suit coat and not holding the CNN microphone. That is the doctor with what appears to be several silver (or maybe even white gold) necklaces. That is the doctor with the hair that looks as if he moonlights as third on castanets in a Grateful Dead tribute band that only plays festivals in grocery store parking lots. But I don’t want to base this on looks. Sure, the doctor looks more like a failed magician. I mean, sure, the doctor looks like if he rode up on you in a windowless van in the middle of the night, you’d run for your life. And sure, the doctor looks like an office janitor who secretly has a stash of stolen vibranium from Wakanda that he’s using to make his own space suit, but we shouldn’t judge people based on looks. The point is this: The raid and the fake doctor’s note happened more than a year (the note, almost three years) ago, so why dredge it all up now? Why is Bernstein snitching? The answer: Ronny L. Jackson, the mixologist of the crew and he would love to mix bodies with you. 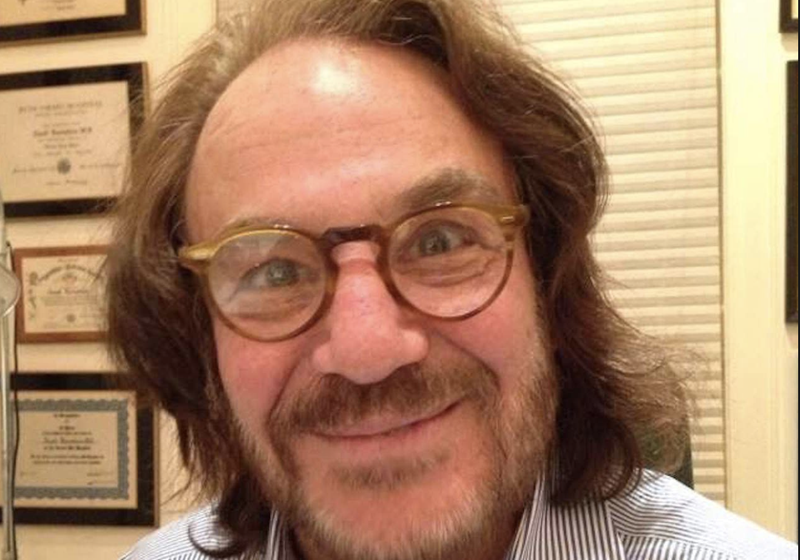 Bornstein was living the good life as Trump’s personal physician. He was totally willing to make up stories for the president and lie to the public because he believed this was his in. Then Bornstein ran out here and told the New York Times about Trump’s male-pattern baldness and he was cut off at the knees. Rhona Graff, Trump’s longtime assistant, reportedly contacted the doctor after the story appeared in the Times in 2015 to inform him that he wasn’t going to be the White House physician. Before that, Bornstein was pretty sure he was going to be hired as Trump’s personal physician. After Bornstein told the Times that Trump wasn’t just the president but was also a member of the Propecia hair club for men, the ice-cream-truck driver was on the outs. But then, when he learned that Jackson was going to be named head of the Veterans Administration, the Bornstein bear believed that he’d be next in line for the position as White House quack because he possessed the one trait that Trump holds near and dear to his heart: lying. But then everything collapsed around Jackson. Now that the White House reportedly is willing to give Jackson his old job back (although there are also reports that he won’t be back as White House physician), Bornstein has started squealing like Taylor Swift trying to hit Philip Bailey’s high notes (I know Swift would never try to sing an Earth, Wind & Fire song. That would be too ridiculous). Basically, Bornstein is bitter because he’s being passed over, again, for the White House-physician position, as he should be, because he’s a snitch.